I love felting my knitted things. But I also hate felting them. Ever since we replaced our ancient center-agitator washer with a newfangled tub-agitating washer, I have not been able to felt to my satisfaction. 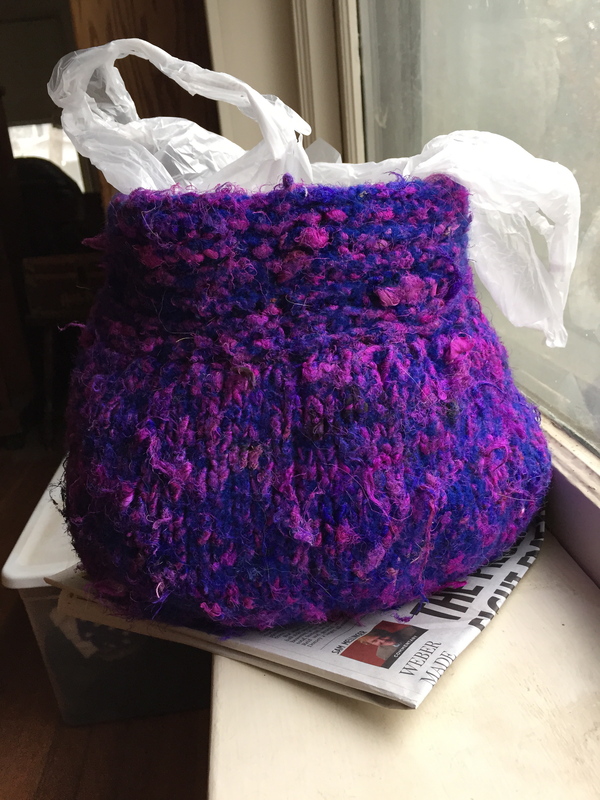 Yesterday I decided it was time to felt my blue/fuchsia bag, the one made with recycled sari silk that I blogged about a while ago. I did finally find some wooden handles I like so it really was just waiting for felting. I think I waited so long because I was dreading the process. I started with hand felting: I filled the sink with tepid water, added the Eucalan and dropped in the bag. 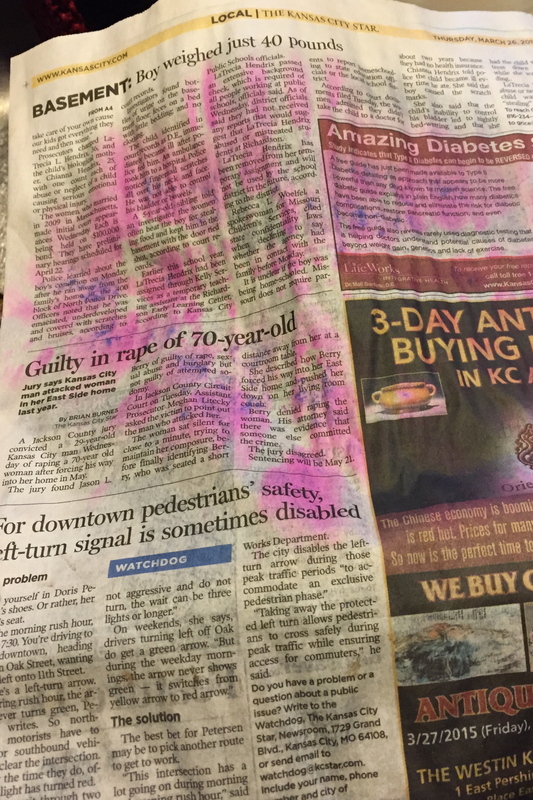 The water immediately started turning pink with dye from the silk. The more I agitated, the more it bled. I ran it under the cold tap, then the warm. I beat it against the side of the sink. Then I dunked it back in the water and did it all over again, rubbing the bag between my hands over and over until my arms ached. After half an hour, I had gorgeous deep fuchsia water, a barely-felted bag, and a burgeoning disappointment. I had such high hopes for this bag. A stint in the washer was next. What could I lose, right? A few towels, a bit of soap, and no spin cycle. It took two wash cycles but I did end up with a bag that could conceivably be considered felted. Not wanting to do another round, I shaped it and set it out to dry. It’s amazing there’s still some fuchsia dye left, as much bled out during the felting process. And it’s so strange how the top band, which is garter stitch, felted so much less than that stockinette body. Is that normal? If so, I’ll avoid garter stitch in the future for felted items! I checked on the bag this morning, turned it to let the other side get some sun, and switched out the damp newspaper. The silk is *still* bleeding. Once it’s fully dry, I’ll reassess. I suppose I might try to felt it more, but I’m also pondering lining it. I’ve got some satiny fuchsia fabric that might look pretty nifty in there. Last night we binge-watched Arrow. We just started it, so we’re still in the first season, and I’m really enjoying it. So while we watched 4 episodes (or was it 5?) I worked on my cowl. It tried to foil me at one point. I got to the end of a round and the pattern didn’t match up. I went back and checked, and the whole round was fine. I tinked it anyway, reknit, came up with the same results. I counted my stitches and was one short. I counted again and was still one short. I have no idea when or where that stitch got lost. And since this is something I’ll probably keep, I decided I didn’t want to work hard enough to find it. I increased a stitch and moved on. So far, so good. We are officially in Spring Break mode now, which means I’ll have the kids home with me for the next nine days. I’m not sure how I’ll persuade them to not spend that whole time on their electronic devices. Maybe it’s time for some spring cleaning? ← What do you make for a Spring craft show? When I dye wool, I use citric acid to set the dye. You can also use white vinegar (stinkier , but it evaporates) I wonder if you could use that with the Sari silk? Maybe try it on a small piece. Aha, interesting! Do you just soak it in that for a while first? Or add it to the dye mixture? I’d like to try felting myself. I’ve read that silk does not felt because it lacks the scales that animal fibers have. You’d think that this would make silk a perfectly washable fiber but it doesn’t hold the dye as well as wool. I learned this the hard way, unfortunately. Thanks for the input. I’ve read that too, and I didn’t expect the silk to felt, but I’ve seen several patterns that knit a strand of silk with a strand of wool and the wool felts and “traps” the silk with it. Well. Not so much, in my experience. I’ve lost the beautiful sheen that the silk had, even though there’s still a good amount of color left. At this point I think I’ll call it good, line it, and keep it for myself rather than try to sell it. It’ll make a fabulous project bag. And for the other skeins of recycled silk I have, I’ll make something completely different! 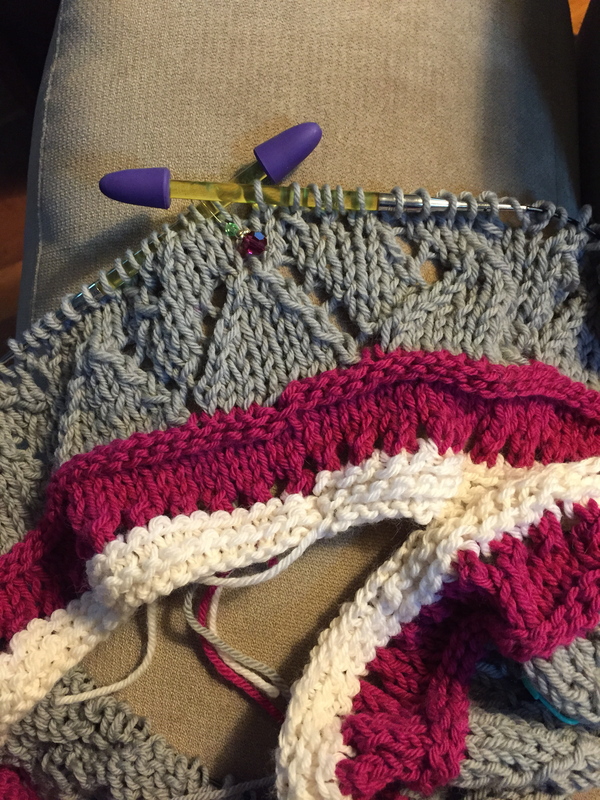 I didn’t realize that the yarn was a blend but I should have figured. 🙂 It’s good to know that wool won’t always felt if it’s mixed with another fiber. I look forward to seeing what you create with the rest of the recycled silks. I haven’t ever knitted with those yarns but I have been tempted to try!